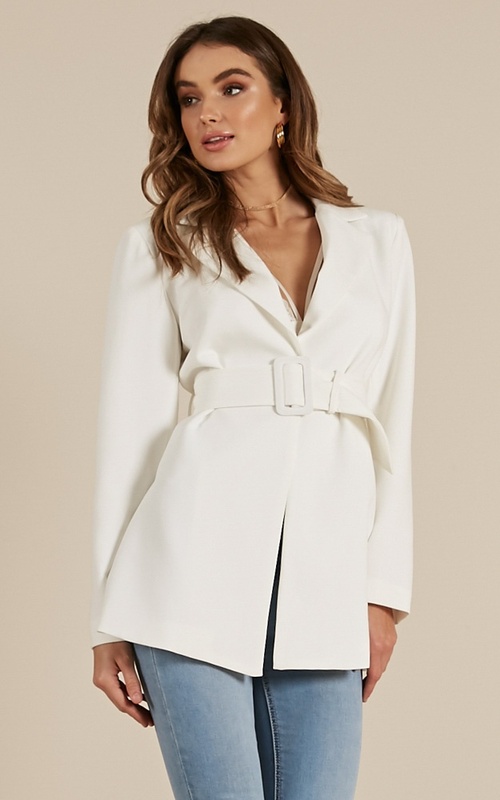 We're super crushing on this Blazer right now! It's the perfect transeasonal piece that you'll be wearing all season long. We are loving the statement belt with its large buckle on centre front. Make a statement with the supper classy style. Keep it casual with jeans or make it work for your working life. This Blazer will surely have you turning heads. For this price get a decent one at Forever New. No lining just a thin jacket that must be done up to show off your shape. It wont last as its poorly made and hangs like a pilow case. Way too expensive.